The eighth day of John’s adventure in Franz Josef Land, an archipelago in the Russian High Arctic, was fun-packed – he couldn’t tell you all of the highlights in one article alone. Here is part two of the story about his exciting day on the kind of luxury Arctic cruise you could also enjoy with WILDFOOT. Later in the day, we had a real bonus. There is another ship chartered by Poseidon, a nuclear-powered icebreaker called 50 Years of Victory, that does a series of sailings each summer up to the North Pole. 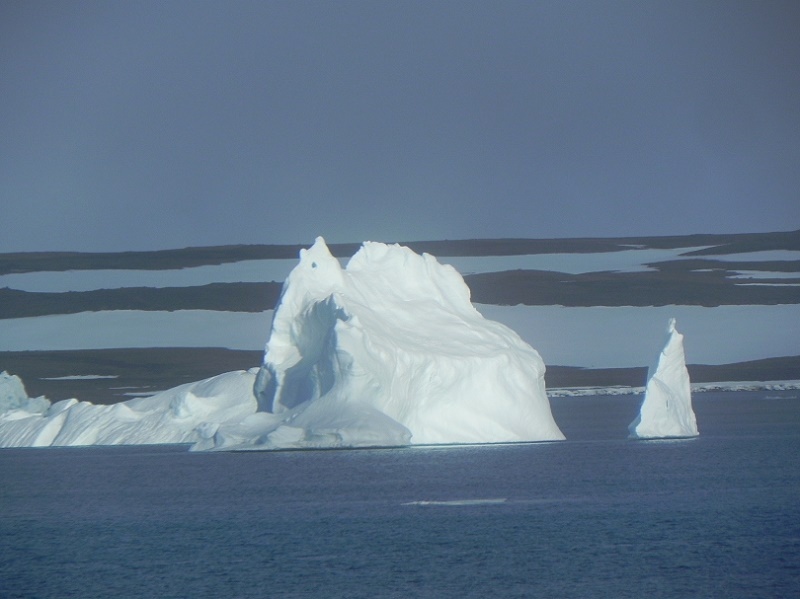 On the way there, it calls at Franz Josef Land – and today was the day! So, we made a rendezvous and the two ships went bow to bow, the Sea Spirit being dwarfed by the massive icebreaker. 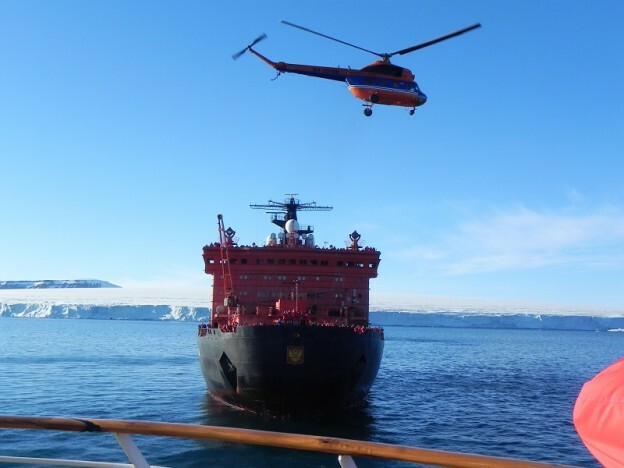 As this new ship carries a helicopter, we also watched as that came and went and flew above us – all very exciting for passengers and crew alike. Then we had the announcement that anybody who wished could go aboard the icebreaker for a short tour. 50 Years of Victory was really interesting and a big contrast to our ship. The accommodation and public areas were all quite basic – in my opinion, it is just a ship for box tickers to say they have been to the North Pole and I don’t think I would fancy bashing through the ice for days and then doing the same on the way back and not having more than basic comforts on the way! � We returned for a late dinner and then went out on the Zodiacs at 22:15 for another spectacular cruise along a channel separating Champ Island and Salisbury Island. The channel is about half a mile wide and bounded by massive ice cliffs, which are over 100 feet high and where the glaciers come down into the water.